I photograph babies of all ages. Newborns just days old, almost newborns that are a few months old, up to a year, and then some. 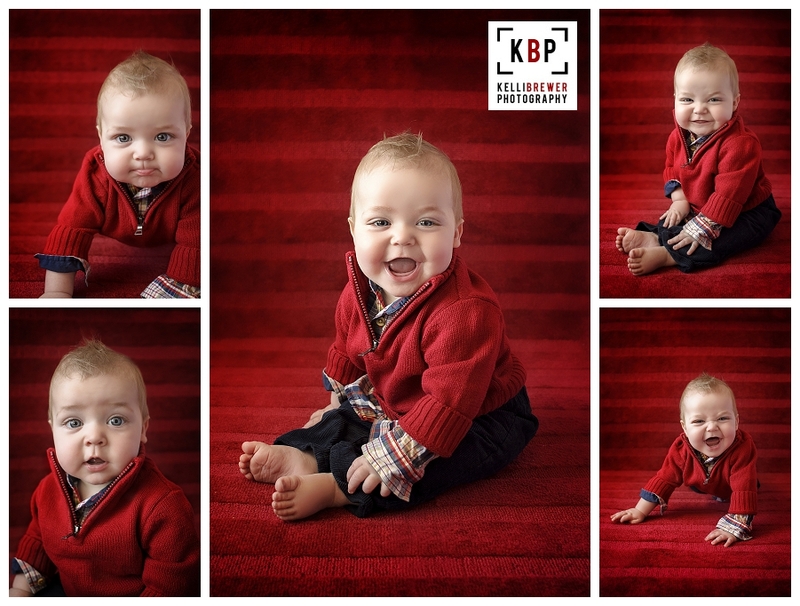 I personally love photographing babies around 6 months. They're just sitting up on their own, haven't yet mastered crawling (meaning they can't get away!) and love to smile for the camera. However, newborn photography remains one of the most popular ages to photograph. Understandably - you're so excited about the new addition and want to remember them in that small, perfect state. They won't always stay that small and innocent... As I'm currently dealing with a 3.5 year old, I can attest to that personally. Newborn images are never outdated. They can proudly be displayed in your home forever. A baby's first images will always be a keepsake proudly displayed, unlike those awkward middle school years. Your future children will thank you for taking those down each year. 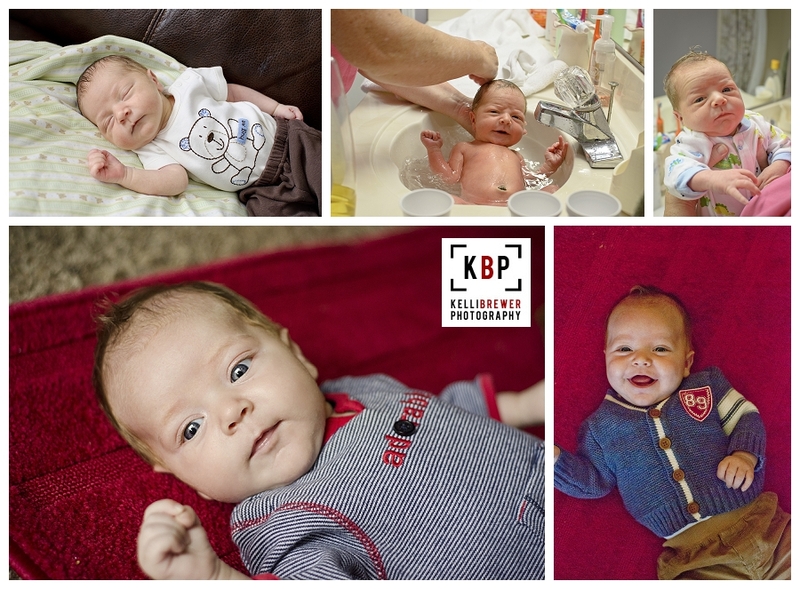 Newborn photographers can be very rigid when it comes to how old your "newborn" can be. Many will not photograph a baby that is more than 14 days old. Well, from what I understand babies sleep more often in the first 14 days, can be molded into those contorted positions easier and don't yet have a "startle reflex", which again, enables a baby to be placed in all sorts of positions and poses. They're on no set sleeping/eating schedule, which can make them easier to photograph. As a lifestyle photographer, I don't use props and I avoid a lot of complicated poses. Most of my images are taken with mom and dad. Therefore, age makes no difference. My best baby was over 6 weeks old! Perhaps I'm naive since I don't specialize in newborns, but because I love photographing families young and old, I invite kids of all age to sit in front of my camera. I'm about to be real honest here... not all newborn babies are cute. In fact, some are quite homely. I can say this, because my second baby, Brody, was quite homely when he was born. Look at that face. He looks like a grumpy old man. To a mother, he was and will always remain the cutest boy to walk this earth second to maybe his daddy, but I knew he wasn't a "cute" newborn. His eyes were puffy, he was red and again, just looked like a little old man! After a few weeks (the bottom 2 images above) his face filled out and he looked completely different. More handsome and more like he looks today. At six months old, he didn't even look like the same baby that I brought home from the hospital. He is the happiest baby you'll ever meet. Always a flirt and willing to show off his gummy smile (now, at nine months, he is still waiting for the arrival of teeth!). Can't you see why 6 months is my favorite age? So much personality in such a little package! Bringing home a new baby is overwhelming. There is so much going on and it can take time to get adjusted. At Kelli Brewer Photography, don't sweat it if you can't make the "14 day" deadline - because there isn't one. It's up to your family when you and baby are ready for your close ups! Interested in booking a session for your little one? Contact me at info@kellibrewer.com to discuss details!